Horizon Tower condominium is located along Jalan Tanjung Bunga, Penang. It is just a short drive to the famous Batu Ferringhi beach, Gurney Drive and Georgetown city centre. Its low density feature and a location that is carefully tucked away from the main road offer a refreshing and quiet environment. The residential scheme consists of two 14-storey condominium blocks and has a total of 56 units. Each standard unit has a built-up area approximately 2,300sq.ft. with spectacular views of lush greenery and the beautiful sea. It has only 2 units per floor and is served by 4 lifts to offer residents greater convenience. 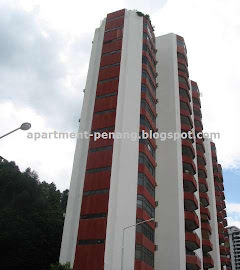 The neighbourhood apartment blocks are Jascila View and Bukit Pelangi Apartment. Built-up Area : approx. 2,300 sq.ft. 24-hours security, covered car park, landscape garden, management office, common bathroom, swimming pool, squash, table tennis room, intercom system.